Most things written about the Jonestown saga end on Nov. 18, 1978, the day more than 900 Americans died. "Stories from Jonestown" begins on that day. Leigh Fondakowski spent three years traveling the U.S. to interview survivors of the Jonestown massacre, many of whom have never talked publicly about the tragedy. 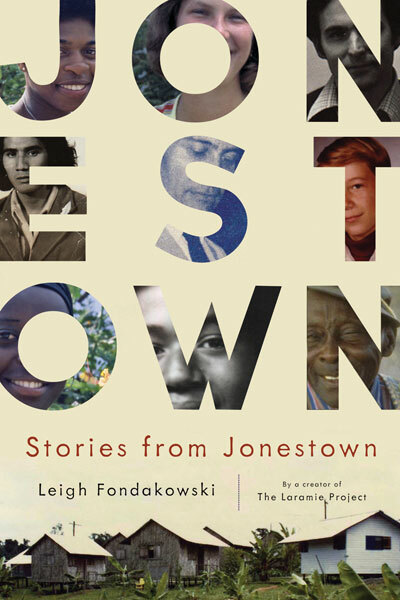 Using more than two hundred hours of interview material, Fondakowski creates intimate portraits of these survivors as they tell their unforgettable stories in one of the most gripping, moving, and humanizing accounts of Jonestown ever written. What is Stories from Jonestown? 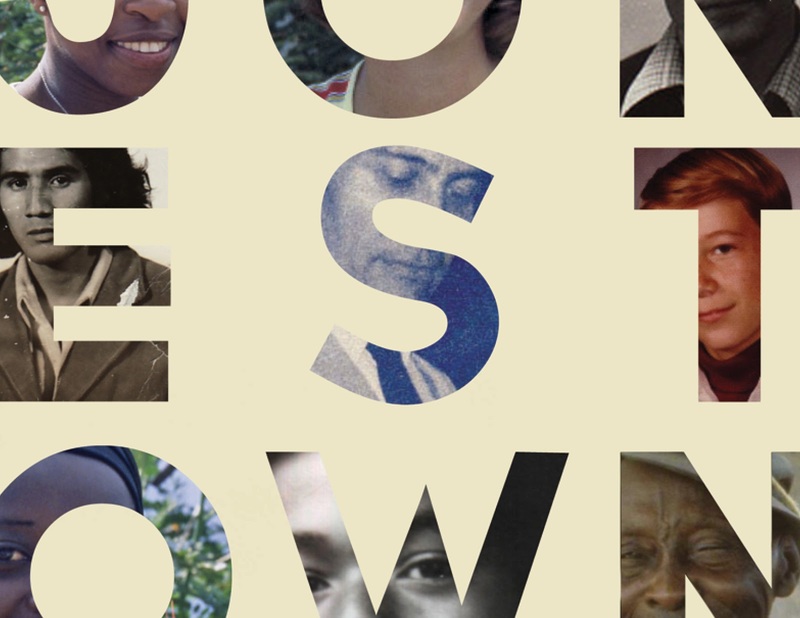 Stories from Jonestown is a book created from interviews with the survivors of the 1978 Jonestown tragedy. The genesis of the project came from a commission I received to write a stage play about the tragedy. David Dower, Artistic Director of Z Space Theater in San Francisco, believed that the theater could provide “a new lens” through which we could view Jonestown. He contacted me after seeing my work on Laramie and asked me if I was interested. Like most Americans, I knew very little about Jonestown at the time, but I did remember the images of the bodies lying face down in the jungle. I was hesitant. After spending three years investigating a hate crime, I wondered if delving into the subject matter would be good for my mental health. What was the catalyst for writing the play and, subsequently, the book? David organized a conference call with a group of survivors from the Bay Area. Stephan Jones, a biological son of Jim Jones, was on that call, among others. The survivors wondered out loud in that meeting if the general public could ever get beyond the catch phrase “they drank the Kool-Aid.” Would anybody ever view them as anything other than “blind cultists?” I was struck by their sincerity in that call, and most impacted by Stephan’s willingness to talk about his own part in the tragedy that unfolded, not just in Jonestown, but also in the years preceding it. There was a lot of history that came out in that meeting—many things I did not know. For example, that Jonestown began as a movement called Peoples Temple (intentionally apostrophe-less), an interracial and intergenerational group with a progressive political mission or agenda. I became interested in understanding not only the movement itself, but also the question as to why this history wasn’t being told. I see my role as an artist to create a work of art from what I see and what I find. But I also see my role as empathizing with people who are radically different from me, and finding the places where we are similar as human beings. As I met the survivors, it was not difficult at all to find those points of entry—those points of empathy—the things we had in common. I wanted the people who would see this work to identify with the survivors. Not see them as “other” but as a part of themselves. What one human being is capable of, we all are to varying degrees. In light of what happened at Jonestown, it is sometimes difficult to talk about this story as a human story, to draw out the humanity behind the sensationalized headlines. By talking about the survivors as ordinary Americans—people struggling to find meaning in their own lives and to positively change the world around them—I have often been accused of “sympathizing with cultists.” My experience interviewing the survivors subverted any preconceived notions that I had about them. They were ordinary people, living ordinary lives. Most had hidden this aspect of their history for twenty years when we had met them. They were, without exception, kind people, with strongly held convictions and beliefs. While they varied in their points of view about Jonestown and in their understanding of what happened there, I do think we can learn from their experiences. I don’t think we should be afraid to sit in the room and talk to them about who they were, what happened, and what their lives are like now. As scholar John Hall so eloquently concluded, “Jonestown marked the end of a utopian era. Not just for them, but for everybody.” So the question remains: how do we re-imagine or re-invent our society in the shadow of Jonestown? How do we look at pressing social issues and implement change? What can we learn—good and bad—from this movement? The people inside Peoples Temple dreamed of a better life for their children and for future generations. The book asks the question: what happened to the dream? There is so much history here. I think about Representative Gabrielle Giffords and how she survived an assassination attempt. Congressman Leo J. Ryan did not survive. He became the only United States Congressman killed in the line of duty. Very few people know this part of our history. Very few people know that Peoples Temple was a black movement or had anything to do with politics at all. I hope this book to a part of telling that history to future generations. Can you talk about the myths about Jonestown that you encountered? There is a persistent myth that the people in Jonestown “drank the Kool-Aid.” Many people (history will never know the exact number) were murdered that day in Jonestown. They were injected with the poison. Senior citizens were injected as they slept. The children were injected first. This is probably the most horrific detail of what happened that day. So the idea that the people were blind sheep who lined up to “drink the Kool-Aid” is simply factually incorrect. The issue gets complicated because the people who were doing the injecting were also members of Peoples Temple. The leadership orchestrated the murder/suicide to make it appear to be a unified statement against the United States government, a political protest if you will. Undoing this myth sometimes seems impossible, particular as the catch phrase “drinking the Kool-Aid” takes hold as part of our everyday vernacular. As I say in the book, I wish people could see the pain on the survivors’ faces when they hear that phrase. I truly believe if people understood the origin of the phrase, the utter devastation behind it, they wouldn’t use it in casual conversation. I’d say the other myth is that the people were blind followers of Jim Jones, even to the end. Jones was a powerful and charismatic figure, but he was also an addict, and extremely dysfunctional. Addiction is a mental illness. Whether he suffered from other mental illnesses, I don’t know, but he clearly suffered from addiction. He was not of sound mind in the last months and days leading up to Jonestown—possibly even years or decades leading up to it. Many people in Jonestown knew this. His family knew it. From my perspective, it appears that Peoples Temple operated along the same principles that the family of an addict or alcoholic would—people justified his actions, they took care of him in co-dependent ways, they propped him up. Stephan Jones said of his father, “He was on his way out. He rallied himself when Congressman Ryan came to Jonestown.” The visit by Leo J. Ryan’s entourage (which included press and family members of people who were in Jonestown) seemed to be the tipping point for Jim Jones’ “final stand” that everyone should die. One of the questions of the book is: can we get beyond these myths—blind sheep and mass suicide—to take a broader, deeper and more substantive look at the individuals who were part of Peoples Temple? What surprised you most in the story of Jonestown? My colleagues often tease me that all of my projects are very big and very sad. In my work, I have discovered that there is a lot wrong with our society, but there is also a lot right. The people connected to the Jonestown tragedy represent both the best and worst qualities in us as Americans, and as human beings. One might expect to find a lot of heartbreak in a story like Jonestown. Indeed, when you listen to the man who witnessed his baby son die in Jonestown, or the many people who lost her whole family in an instant, the depth of that pain truly hits home. But it is their wisdom in the face of tragedy that is at the heart of the work. The way people come to terms with their losses, how they respond, can be—and most often is—truly inspirational. 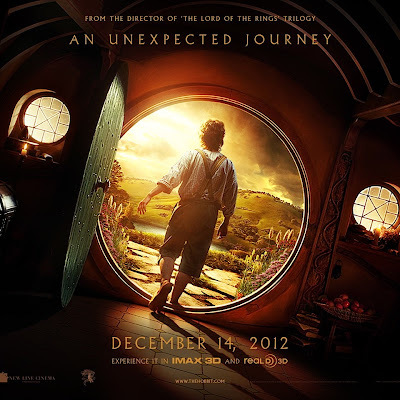 The way they use language, the sheer poetry with which they communicate their own personal struggle is awe-inspiring. In my experience, there are very few people in this story still dwelling on victimhood. People understand that they have been deeply harmed, and they mourn and grieve for a long time. But in the face of their losses, they are most often searching their hearts and minds for the ways that they can affect positive change out of what has happened. They are searching for the ways that they share in the responsibility. They are accepting their role in it, that they did have agency. Tragedies are a part of life, part of the human experience. But people continue to amaze and inspire me as they rise to the occasion and face these life-altering events with incredible grace and dignity. Who were your collaborators on Stories from Jonestown? The book is based on interviews that were conducted by the group I assembled to co-create the play: Greg Pierotti, Margo Hall, and Stephen Wangh. I could not have written the book without the support of The Jonestown Institute, Fielding “Mac” McGeHee and Rebecca Moore. Can you talk a little bit about your process of working with the interviewees? My collaborators and I spent three years traveling the country talking to the survivors. A big part of that process was earning their trust. Many who had previously spoken out had been burned by the media many times: they would be promised that the story would be farther reaching than the “Kool-Aid,” but would inevitably be let down as film after film, book after book, article after article focused exclusively on the deaths. Most things written about Jonestown end on November 18, 1978, the day everybody died. Stories from Jonestown begins on that day because it is the story of the survivors told in their own words. The interviews are edited and distilled, and I use my process of creating the play as the overall spine or structure for the book, but the story of the movement and the tragedy that unfolded is predominantly told in the words of the people who lived it. You have a history of working with traumatic events in our current history. Can you tell us a little bit about that? I have been a member of Tectonic Theater Project in New York since 1995. When Moisés Kaufman, the artistic director of Tectonic Theater Project, called me into his office to discuss going to Laramie, Wyoming following the brutal beating and death of gay university of Wyoming student Matthew Shepard, he didn't say, “Let's go to Laramie and write a play about this.” He said, “Do we as theater artists have a role to play in the national dialogue about what happened to Matthew?” The Laramie Project was born out of the question of the relationship of artists to the important stories of our time. Stories from Jonestown continues in that tradition. Next is the completion of Spill, a play and art installation about the Deepwater Horizon/BP oil spill. Leigh Fondakowski is the author of Stories from Jonestown. She was the head writer of The Laramie Project and has been a member of the Tectonic Theater Project since 1995. She is an Emmy-nominated coscreenwriter for the adaptation of The Laramie Project for HBO and a cowriter of The Laramie Project: Ten Years Later. Her play The People's Temple, created from survivors' interviews, has been performed under her direction at Berkeley Repertory Theatre, American Theater Company, and the Guthrie Theater. See an interview with Leigh with the U of M's Institute for Advanced Study. A discussion about Jonestown begins around the 6:50 mark.